When he arrived from the Democratic Republic of Congo in 2011, Renee Mushaga was a helpless teenager, who had survived the unending war in his home country. Without the support of his family, whose whereabouts he did not know, Mushaga was taken to Rwamwanja refugee camp, Kamwenge district. However, having been a student, the 17-year-old was able to join a secondary school in Hoima, in senior three. Three years later, he joined Uganda Technical College Kyema in Masindi, where he was able to secure a diploma in mechanical engineering, specializing in metalwork. Today, he lives outside Kasese town with his Mukonjo fiancee, where he runs a metal workshop. Mushaga’s story is part of a study by the dean of the school of Civil Service at the Uganda Management Institute, Dr Sylvester Kugonza. In his study, Dr Kugonza thinks Uganda’s refugee framework needs to be improved to address some peculiarities. “The refugee law of 1964 makes it illegal for anyone to host a refugee outside a camp. However, the 1994 arrival of thousands of refugees, fleeing the genocide in Rwanda and the subsequent troubles in Congo, brought several professionals into the country and these could not fit properly in the camps,” he says. The circumstances under which many of these refugees work are usually vague. Some procure work permits, while others prefer to take advantage of Uganda’s weak regulations to work under the radar, usually pretending to be indigenous Ugandans. This usually applies to those who are operating their own businesses or those in low-level jobs, such as agriculture, shoe repair, watch making or masonry. Dr Kugonza quotes UNHCR statistics, which show that by 2017, there were 68.5m displaced people around the world, the largest since the Second World War. Of these, Uganda hosts 1.5m. Uganda first started hosting refugees in 1942, when 80 Polish refugees were settled near the present-day Nyabyeya Forestry Institute in Masindi. The next major batch of refugees arrived in 1959 from Rwanda. Among them was a toddler, known today as Paul Kagame, president of Rwanda. Most of these have initially settled in various camps, around the country, where they have free access to vital services such as healthcare and education. Uganda has allocated 350 sq miles (900 sq km), almost the size of Buikwe district. On paper, the law provides that once the situation stabilizes, they should be able return to their countries of origin, but most never do. 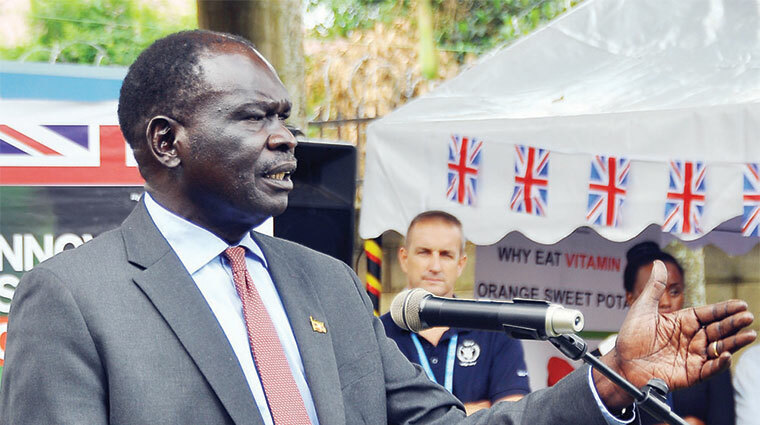 Onek says the peculiarities of the situation led to a request from cabinet for a review of Uganda’s 2006 comprehensive refugee response framework. “Our policy has been commended as the most progressive. But there is a need to integrate it into the national development plan and deal with some of the inconsistencies,” he explains. Onek is also aware that the way refugees are counted may be at question. As the number of refugees increases, the cost of hosting then has continued to rise. Pius Gumisiriza, a lecturer at the UMI, believes that Uganda is actually hosting only 800,000 refugees, and not twice that number, as the government states. To this, Onek says the government is aware and is presently registering refugees. “We are doing a comprehensive audit of all refugees, including their biometric data, so that we can tell how many we actually have,” Onek says. The minister also wants the matter of naturalization for refugees who stay for longer than 20 years resolved. “If you go to my district of Lamwo [in northern Uganda], we never had light-skinned people, but our residents find them in the refugee camp and intermarry, and suddenly we have a situation where these people are now part of us … we need to resolve that,” he said. Responding to the call, the chairperson of the UMI governing council, Francis X Lubanga, says the institute is ready to work with the ministry on this policy. “We are ready to work with you, aware that government is encouraging evidence-based research in order to inform policy development for the good of all Ugandan residents, including refugees,” he says. But all these issues seem so far away from Mushaga’s mind as he goes about his daily work in Kasese. His fiancée is expecting a child by the end of the year, and the prospect of returning to Congo seems far from his mind. “The people here have been like family to me; so, I hope I can settle here,” Mushaga says.